Best Location on the Beach! Excellent Condition! Phoenix VII Waterfront Corner Condo! 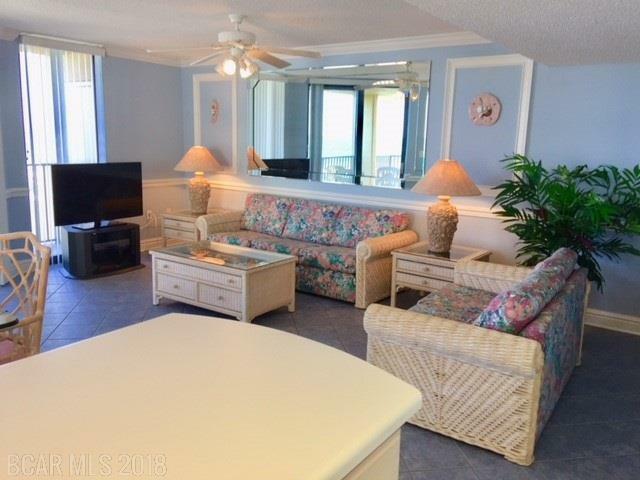 Experience stunning views of the Gulf and Perdido Pass while you relax on the balcony or in the living/dining area. 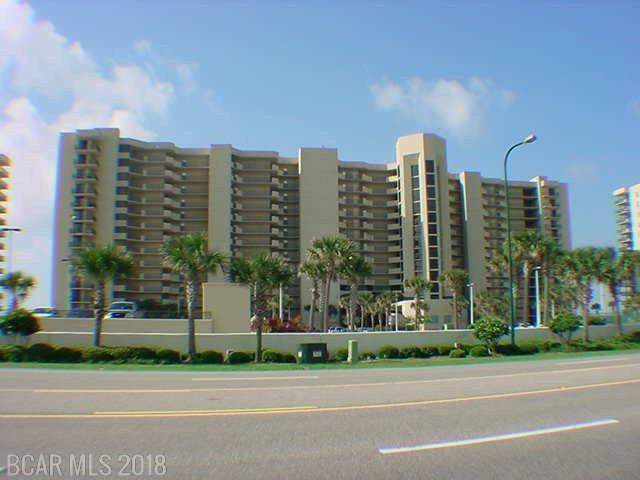 This beachfront 3/2 non-rental, one owner unit is conveniently located on the east side, fifth floor and has a beautiful wrap-around balcony. 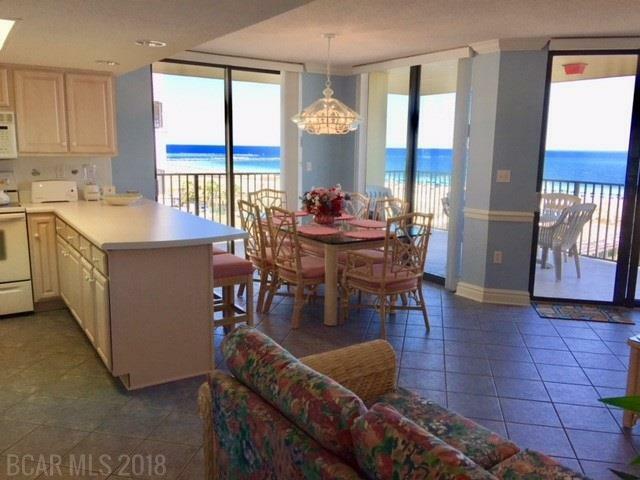 The unit is decorated in a serene blue, beach cottage style and has custom molding and chair rail. You will love calling this place home. Excellent for a second home or rental investment. Condo comes with two lot parking passes. 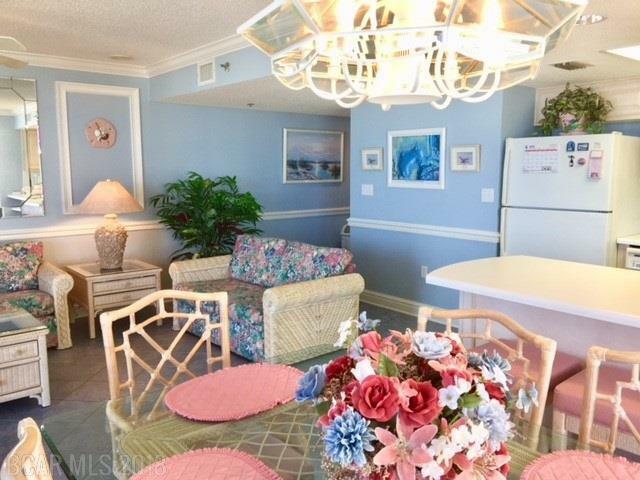 Amenities include indoor/outdoor pools, gym, tennis court, racquetball court and easy access to sugar sand beach.